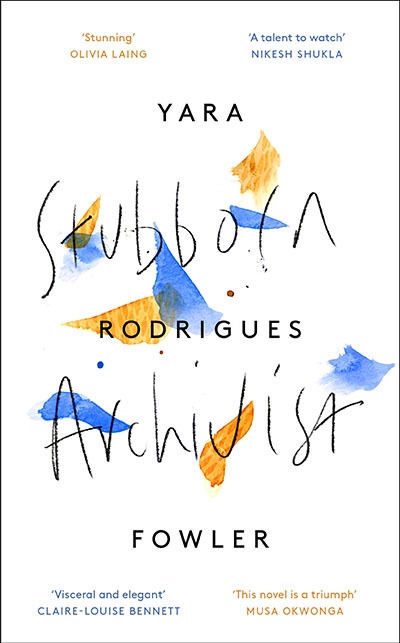 Join local author Yara Rodrigues Fowler as she discusses her stunning debut novel, Stubborn Archivist (longlisted for the Desmond Elliott Prize) – a lyrical reflection on growing up in a Brazilian-British household, of finding your space within different cultures and of learning to live in a traumatized body. In January, Yara was chosen as one of The Observer’s hottest-tipped debut novelists of 2019 and Stubborn Archivist was described as ‘unlike any other book you’ve read . . . a novel that is personal and political – and its unusual form is integral to its power’. Don’t miss the chance to hear Yara, who grew up in Balham, talk about this brilliant debut novel.